LIFELINE Coffs Harbour now runs a Postvention Suicide Bereavement Support Group for those who are 'living their experience' with the death of a loved one through suicide. Postvention involves activities related to the help and support of people bereaved after suicide. Simoné Harris, co-ordinator and one of the facilitators of the group, says the purpose of the group is to connect people together to support each other through their mutual understanding of what it's like to grieve a loved one post suicide. "The group is a place where it is okay to talk about the impact and aftermath, or to just sit and listen," Ms Harris said. "At times the stigma, shame, anger and guilt combined with the unspoken messages that it's not okay to talk about suicide and grief can leave a person feeling alone and confused." Ms Harris said without support and normalisations of feelings of grief, one may think they can't navigate through the chaos that has been left behind. 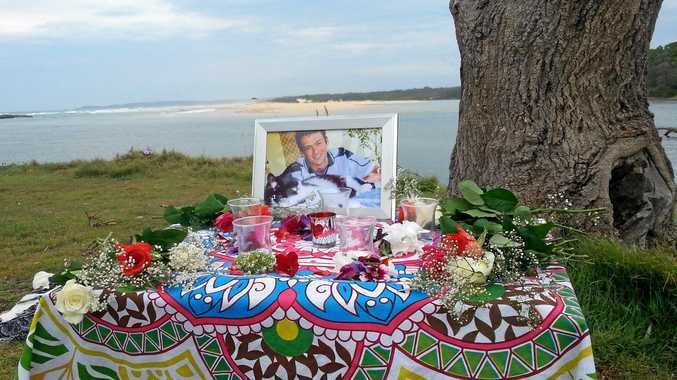 "The Coffs Harbour Lifeline SBSG provides a place where your pain can be heard, your loss acknowledged and to offer respect in your often traumatised, grieving state. "Our vision is that by connecting, over time, hope and life can enter back into the bereft heart with support from others who are in a similar situation." An active participant in the group shares her experience. "The group has been an immense support, at a time that was both dark and scary for me. Now I'm at a point where I go because I want to be a supportive person to someone else who is finding it dark and scary and tell them that there is a light at the end of that same dark, scary tunnel." The latest figures from the ABS in 2015 states there were 3027 recorded suicides nationally, equating to over 3000 families and close friends working through the loss of their loved one to suicide. The group is held bi-monthly at the Lifeline Office located at 26 Gordon St, Coffs Harbour. For more information phone 66514093 or email suicidebereavement.coffs@lifeline.org.au.